Home Company Profiles Water Treatment How Productive is the Water Treatment Plants For Agriculture Industry? In order to yield high harvests and maintain healthy livestock of farms the Agriculture industry requires free flowing water supply! For maintaining the rates of harvest, it is essential to opt for Filtration and water treatment solutions at the farms! Polluted water on the crops would definitely destroy the crops! Thus, agriculture industry must install water treatment plants at the farms in order to maintain the standard of the harvesting water for the crops! 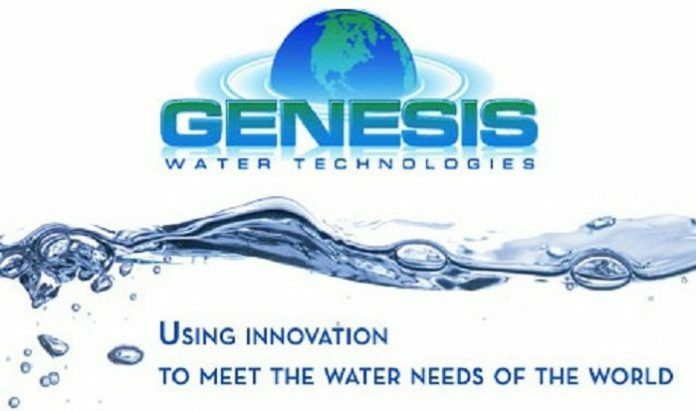 Genesis Water Technology offers primitive solutions for water treatments that purifies the water and makes it suitable for utilization in different sectors. Water treatment plants are designed as per the specifications of the area of usage in a personalized way. With inventory techniques, the water treatment plants are designed for removing salinity from water as well as other foreign elements that develops harshness of the water which makes it inappropriate for using it for different purposes. What is the usefulness of Water treatment plants at Beverage/liquor industries? Water treatment plants can also be highly useful in Beverage/Liquor Process Water Production! The water treatment plants amazingly works for UV Disinfection. The water treatment plants can be installed for removing bacteria, algae, microorganisms, etc from the water supplied to the farms or the manufacturing units. The water treatment plant is technically designed to remove dissolved gases from water that concludes the water treatment process effectively. Water Treatment Plants executes several biological treatments that treat the biodegradable and non-biodegradable elements from the water. Thus, this can be considered as a Staff at a Dairy! The treatment plant removes soluble or any dissolved organic contents from the water that makes the water suitable for being used in the dairy farms as well! The water treatment plant involves softening process that removes excessive hardness of the water which makes the water usable for several works. Varied industries have different specifications for water treatment which also largely depends on the source of water. Genesis Water Technology designs the water treatment plants for Beverage Bottler, Brewery, Distillery, and many more units as per their specifications. It is essential to select the water treatment plants from authentic brands that utilize high graded raw materials for manufacturing the plant! This ensures the plant to last for longer time period without any hassles. The water treatment plants offer appropriate solutions ensuring high quality and productivity. The system requires to be designed in order to prepare the water to be fit for consumption and other usages. These water treatment plants can be used by varied sectors that require to treat water for different usages!